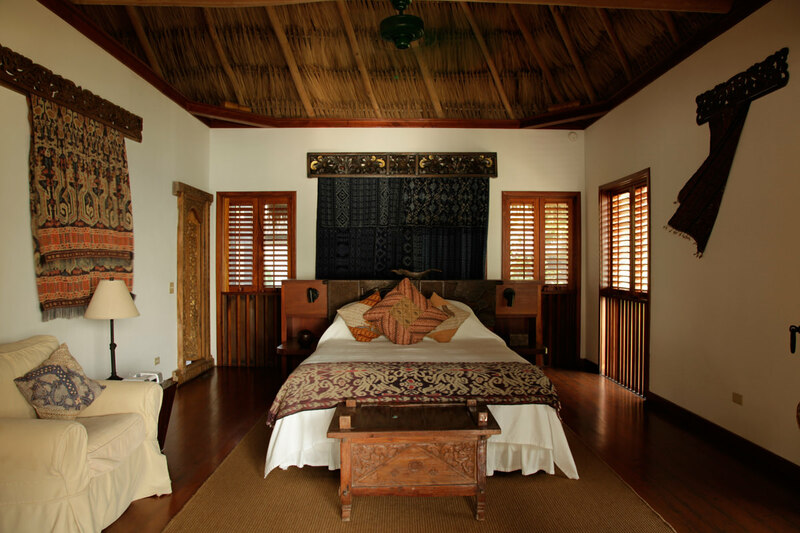 Nestled in our lush gardens and a few paces from the Caribbean Sea, these 2-bedroom/2 en-suite bath villas provide luxurious proportions with a living room, separated seating areas, and an extended screened porch. 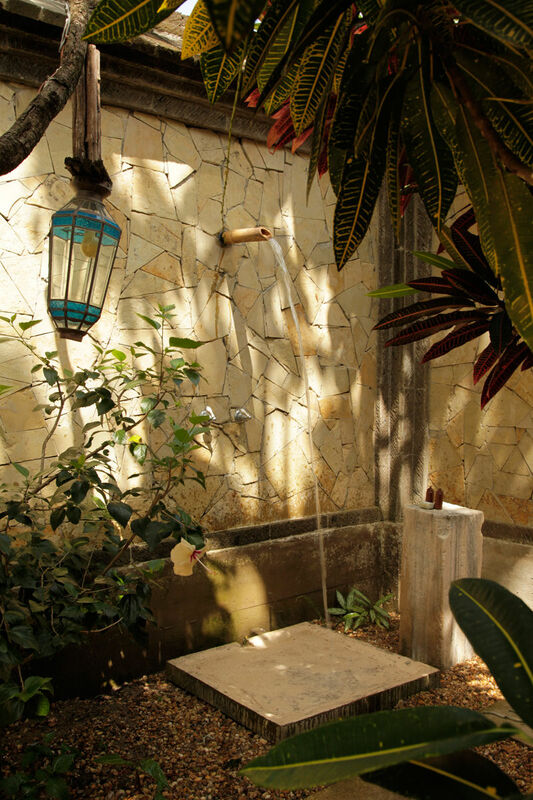 Each villa at our Belize luxury beach hideaway is surrounded by a private walled garden with an outdoor shower. 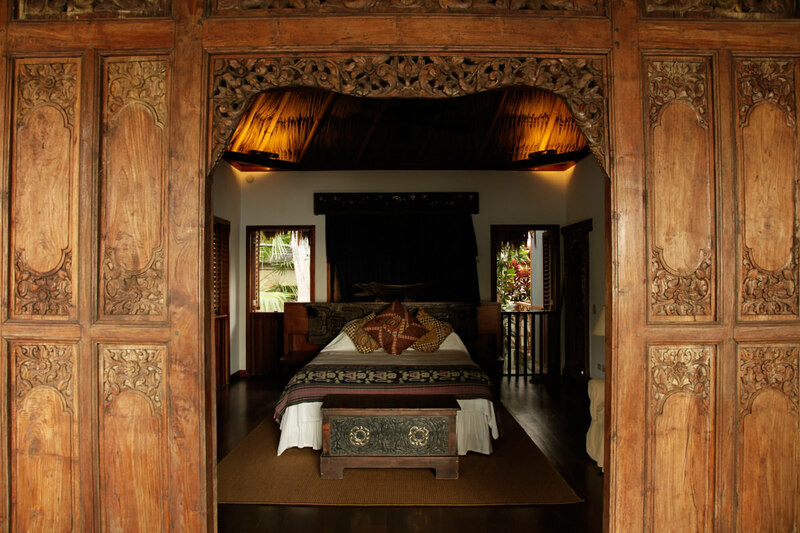 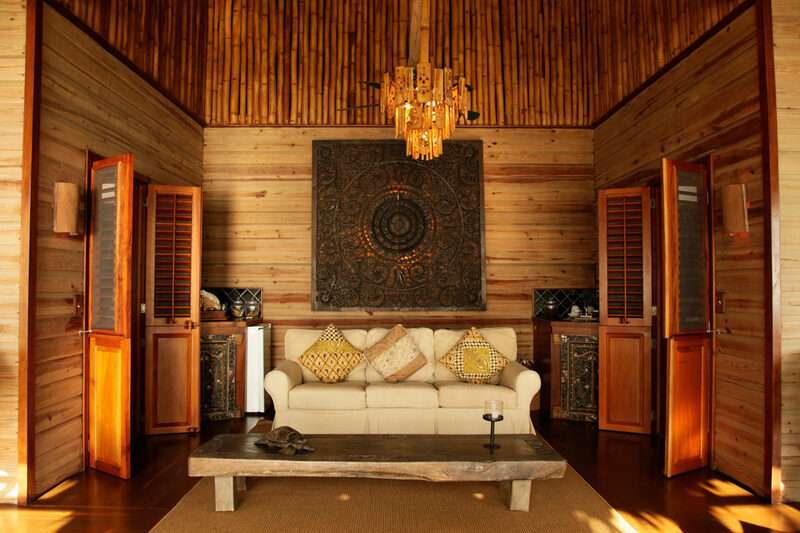 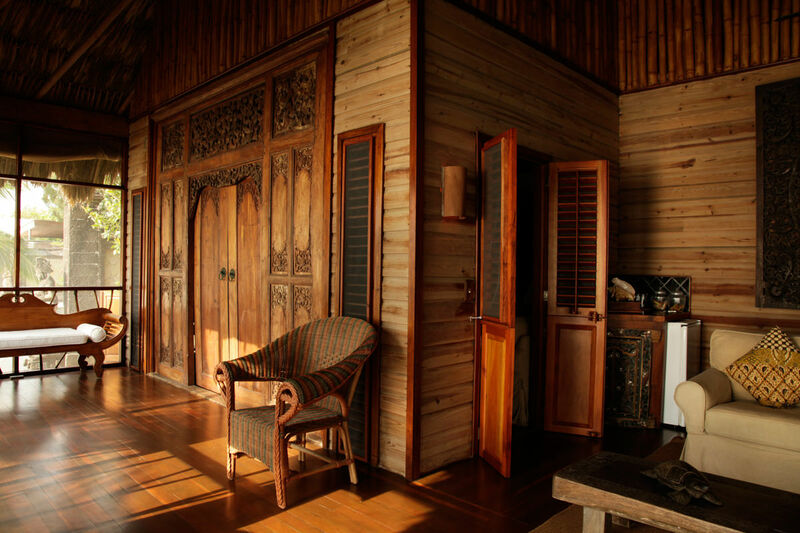 All rooms feature Balinese hand-carved doors and décor, ceiling fans, and thatched roofs that naturally cool the villas. 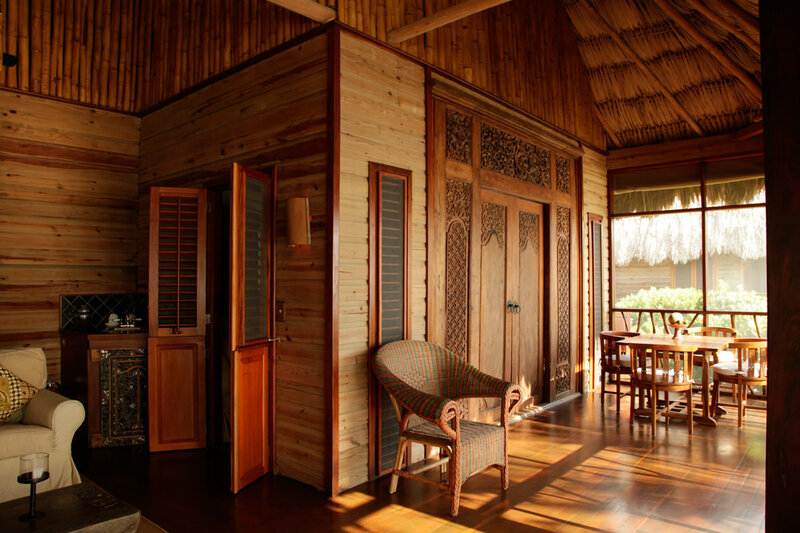 These dwellings are most suitable for families or couples traveling together. 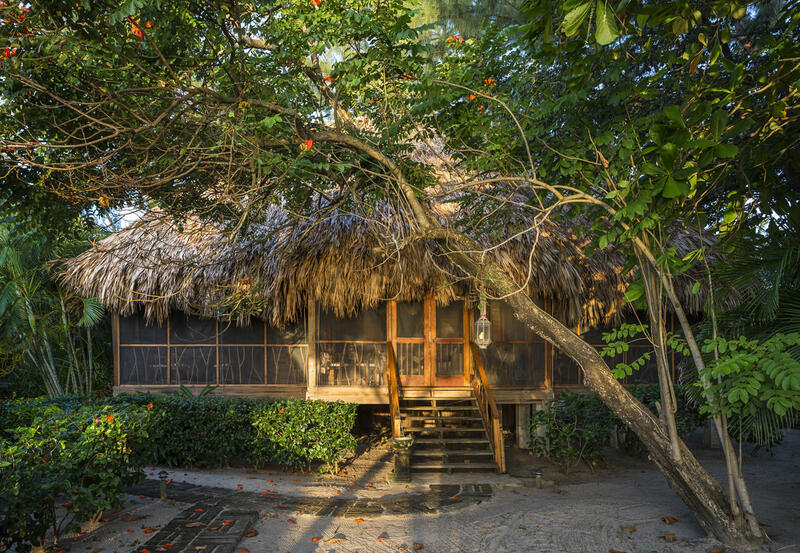 Also, be sure to check out our spacious 2-bedroom Seafront Villas at Turtle Inn which provide luxurious proportions just a few steps from the Caribbean Sea.